LUCY BURDETTE: There are a couple of food catalogs that I can't resist, and usually I end up making something with one of their specialty products. This time it was King Arthur Flour's chai spice mixture containing ginger, cinnamon, cardamom, allspice, and cloves. Of course, I could have ground all of that together myself, but this looked appealing and so easy. They also sell "chaidoodle" cookie mix, but I wanted to try my own, adjusted for lower sodium pleasure of course! 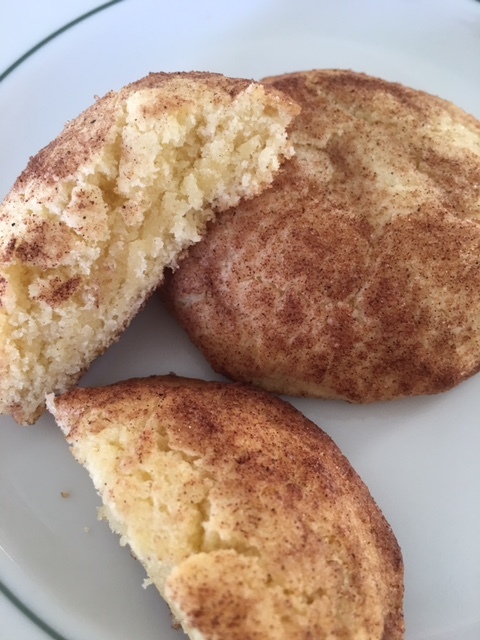 First I went in search of the perfect snickerdoodle cookie recipe, and ended up using a combination of the Joy of Cooking and Bessie Bakes. And then I rolled the cookies in a cinnamon plus chai mixture. Preheat the oven to 375. Sift the dry ingredients (salt, sugar, and low-sodium baking powder) together and set aside. Using either a beater or a Kitchenaid mixer, beat the butter until light and fluffy. Beat in the eggs one at a time, about 1 to 2 minutes after each addition. Mix the cinnamon, chai spice and sugar on a plate. Cut the logs into one-inch pieces and form them into balls. Roll the balls in the cinnamon mixture and place them on 2 parchment-covered baking sheets. You should end up with about 2 dozen. Big ones! Bake at 375 for 8-10 minutes, removing them as soon as the first cracks appear. If you're lucky, you'll have one left over to munch with your morning coffee! I am having one right now to celebrate the news that there will be two more Key West food critic mysteries, courtesy of Crooked Lane Books. Hooray! I always liked the traditional Snickerdoodle cookies but I also like Chai spice, so can't wait to try this kicked up version of Snickerdoodles. Let me know how you like them Dianne! Just yesterday I put in an order at King Arthur and one of the items I ordered was a chai latte cake mix. I highly recommend a trip to the King Artur store in Norwich VT. You may want to wait till spring though, in the last week we've gotten almost 2ft of snow. Happy Baking! Ooh, ooh! A new cookie recipe! I will never have enough. The addition of the cardamom is an interesting twist--I'll have to look for the King Arthur spice. I think you'll like it Sheila. Usually I'm a plain cookie purist but we loved these! King Arthur is my go to for baking. This does sound like a fun taste twist. PS Hurray and Huzzah on two more books!!!!!! I am so happy that there will be more Key West Mysteries! Please pass the Snickerdoodles so I can celebrate, too! Yum! I've been eyeing the King Arthur Flour Chai Spice mix but haven't ordered yet because I wasn't sure what I was going to use it on. Now I know...thank you for the cookie recipe! Congrats on continuing the Key West Food Critic Mystery series!!! 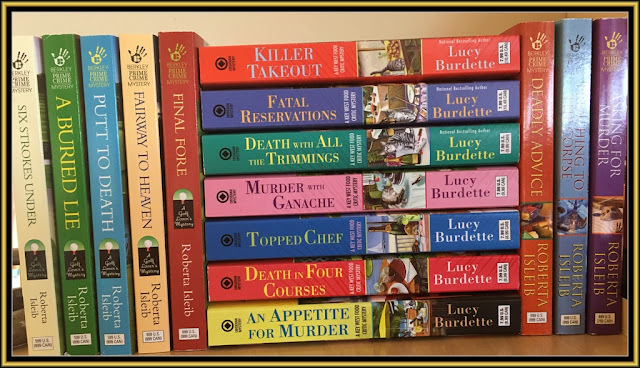 Great post, Lucy (Roberta), I love the Chai Spice spin, and I'm really loving the great news about more of your Key West Food Critic Mysteries coming out with Crooked Lane Books. Marc and I send our warmest congratulations! oh yum. I love snickerdoodles. I love your Key West series. Win win! Just starting Key West series. The publishing bureaucracy must be daunting. Your first books in the series are a different publisher. How does that happen? Just curious. I must stop commenting so I have time to read! So hard to fit it all in!